The past week of NBA playoff action saw some of the Jordan Brand's top stars eliminated from the action. Debut runs for both the all new Super.Fly II and CP3.VI AE were unfortunately cut short, with Blake Griffin and Chris Paul's Clippers eliminated by the Grizzlies. 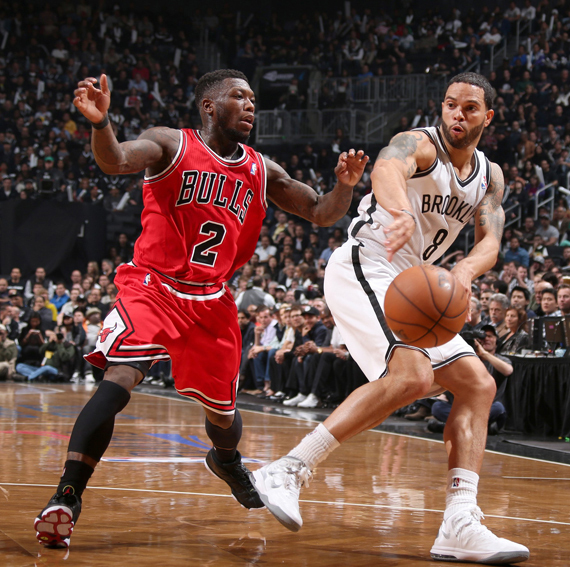 The start of the semi-finals round of the playoffs brought more of the usual retro models, with Nate Robinson continuing to lead the Bulls in the Air Jordan 13 Retro. 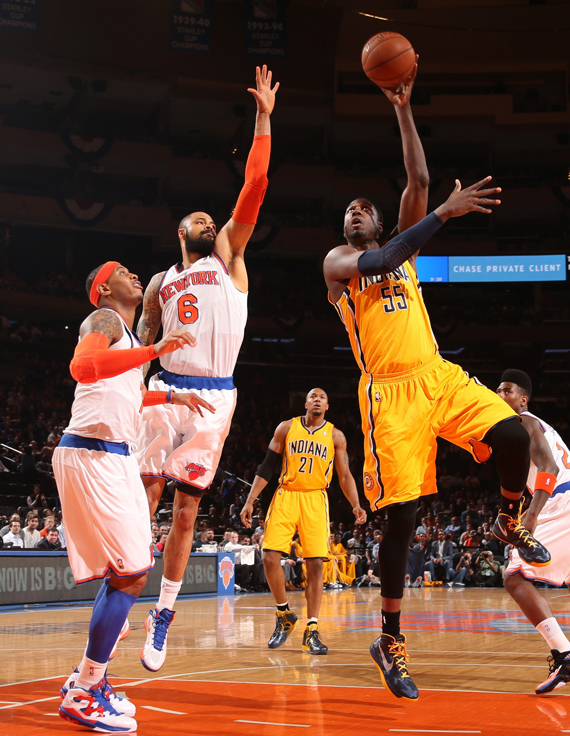 DJ Augustin once again hit the court for the Pacers in the "Lightning" Air Jordan 4 Retro, while J.R Smith took on the Pacers in the White/Cement Grey AJ 4 Retro. Check out all the notable Jordan brand styles worn over the past week of NBA Playoff action below. 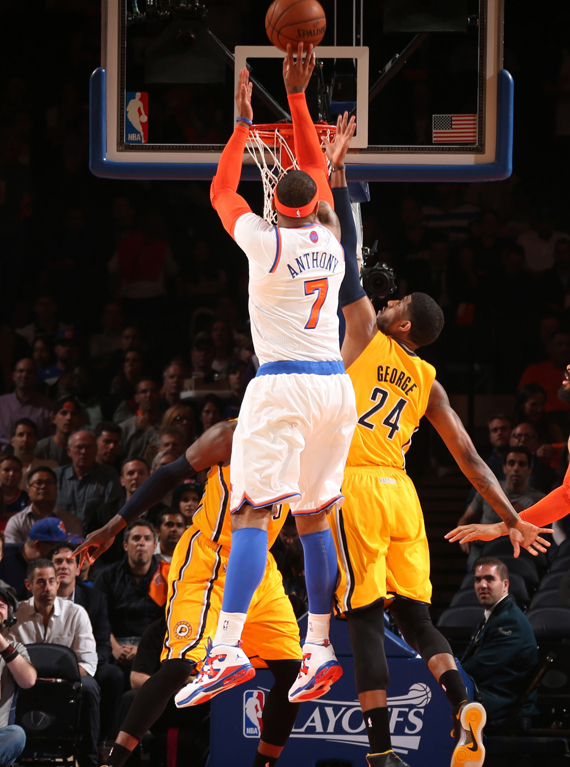 Carmelo Anthony -- Jordan Melo M9. 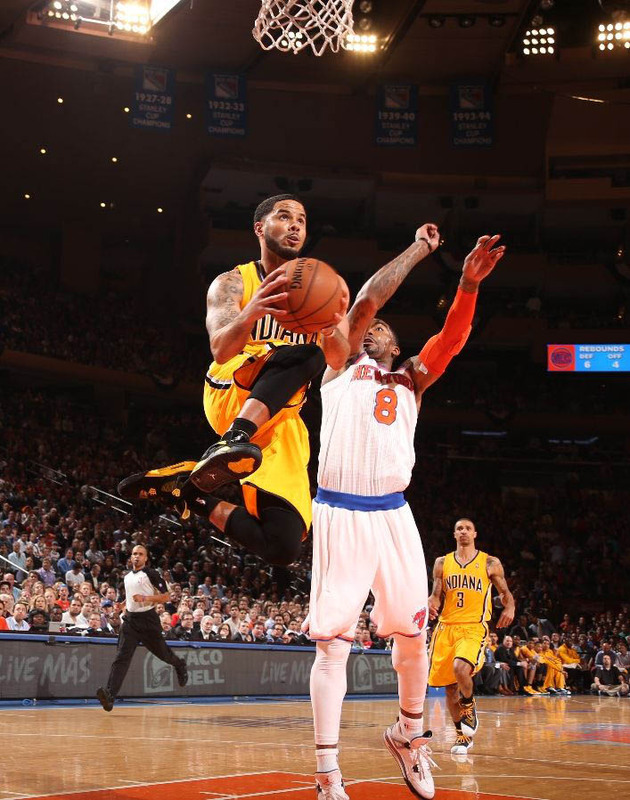 DJ Augustin -- Air Jordan 4 Retro "Lightning," JR Smith -- Air Jordan 4 Retro. 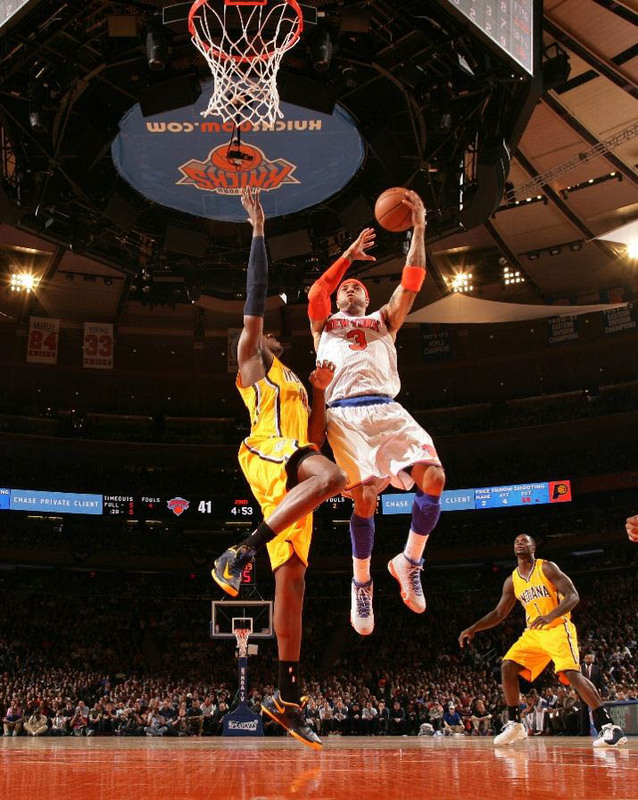 JR Smith -- Air Jordan 4 Retro. Kenyon Martin -- Air Jordan 9 Retro "Fontay Montana." 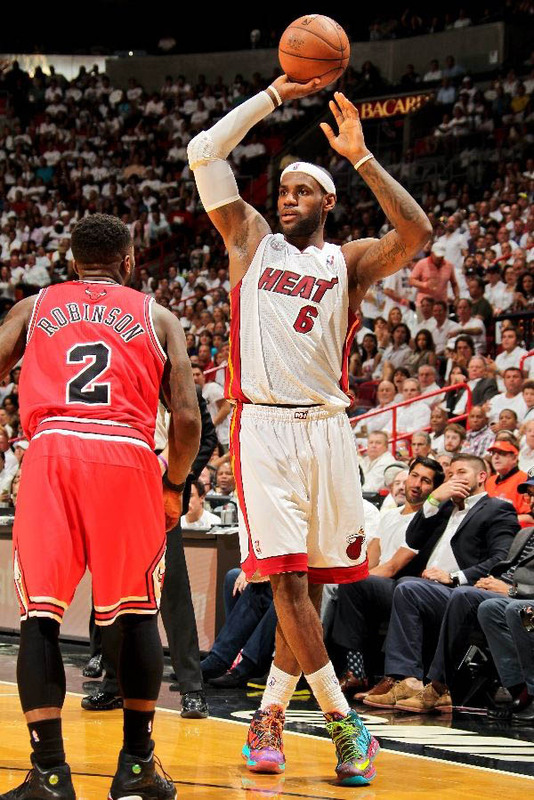 Nate Robinson -- Air Jordan 13 Retro "Playoff." Gerlad Wallace -- Air Jordan XX8 PE. 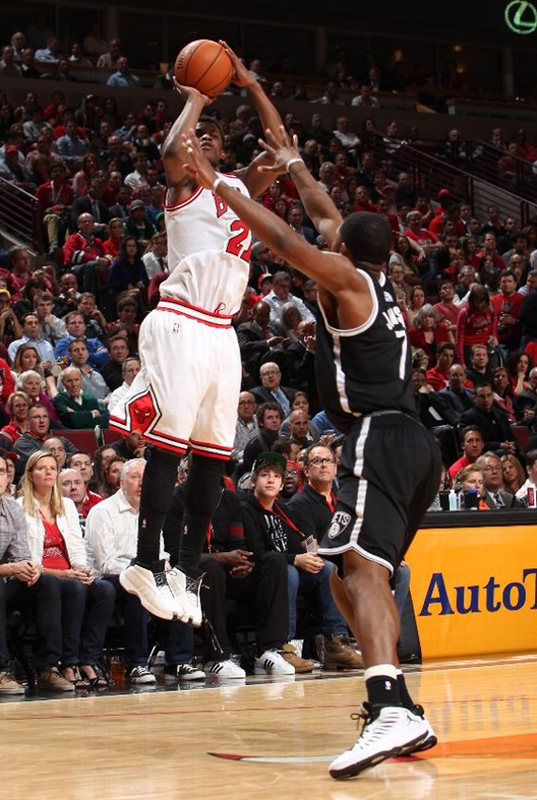 Joe Johnson -- Jordan Super.Fly. 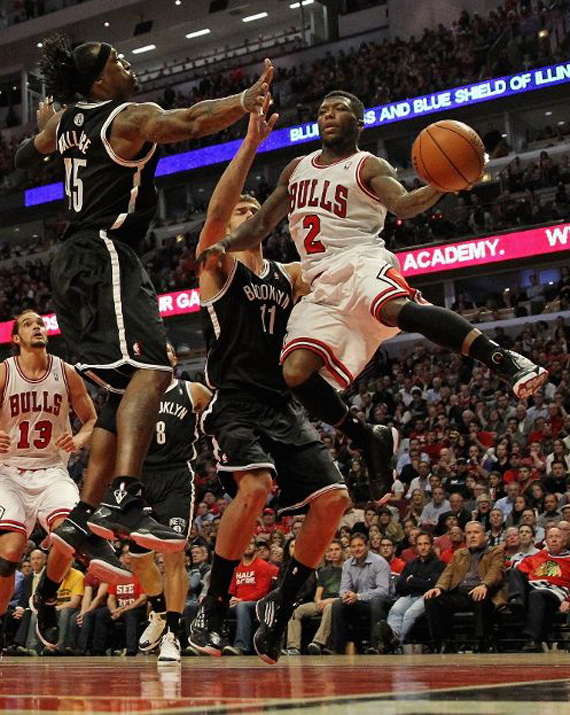 Andray Blatche -- Air Jordan 10 Retro "Chicago." 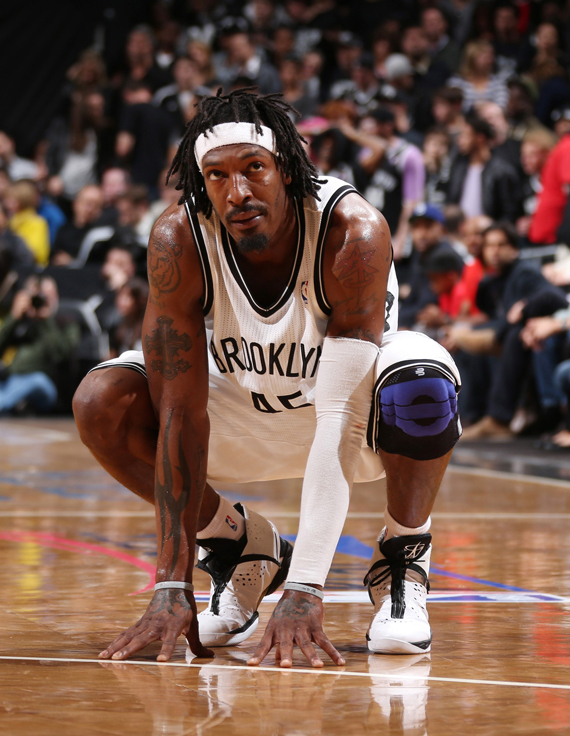 Gerald Wallace -- Air Jordan XX8 PE, Nate Robinson - -Air Jordan 13 Retro "Playoff." 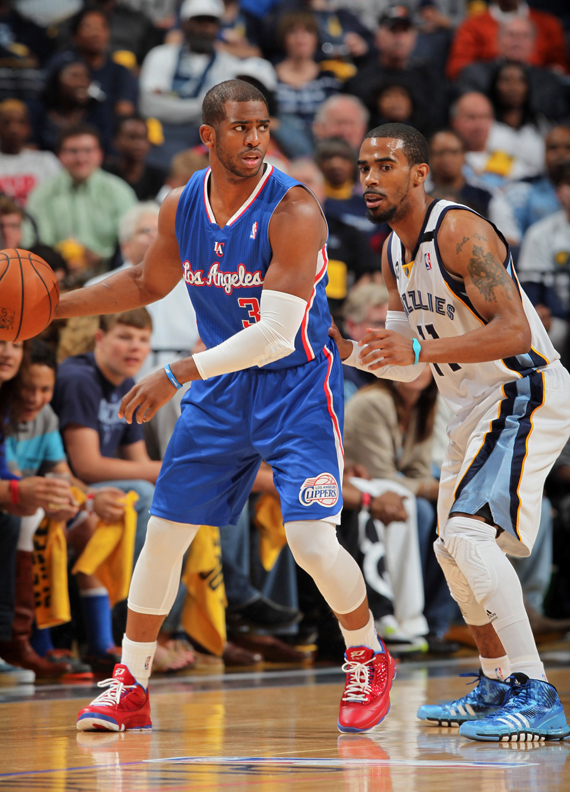 Chris Paul -- Jordan CP3.VI AE.